Apropos Home Staging-Condo development, Encino, CA *note: Mary Ann is waiting for John to deliver a flatscreen TV for above fireplace! 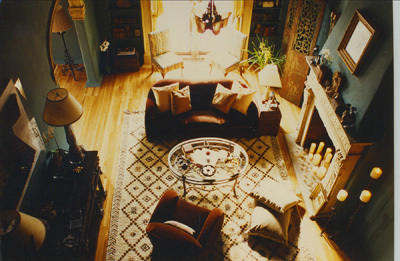 “GHOST STORY” This set was a residence on location in Saratoga Springs, New York. 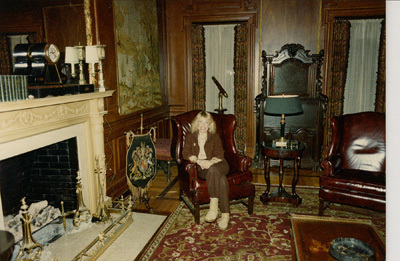 The original walls were chartreuse and the furniture was all in pinks, greens and yellows. Production Designer: Michael Seymour (he was British so he was listed as Visual Consultant). Universal Studios. “BOSTON LEGAL” Study in lawyer’s home. Stage set Production Designer: Peter Politanoff. David E. Kelley Productions. 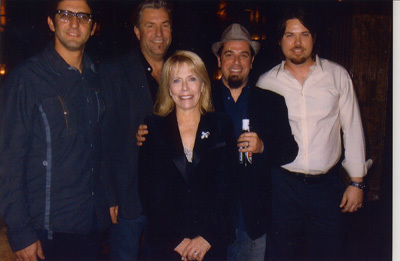 This is my long time lead man and crew from our last show’s wrap party. The names from left to right are: Jordon Paul, Randy Bostic, Yaniv Bashan, Shane Rogers. Mary Ann Biddle has been set decorating for over 25 years on iconic television shows including MAGNUM PI, THIRTYSOMETHING, LAS VEGAS and BOSTON LEGAL. She has been nominated for 8 Emmy awards and won twice in the category of Outstanding Art Direction for the shows Murder One and NYPD Blue. She currently serves on the Board of Directors for the SDSA, owns her own prop house “Apropos”, stages interiors for real estate sales and still finds time to decorate one of the hottest shows on television today “90210”. 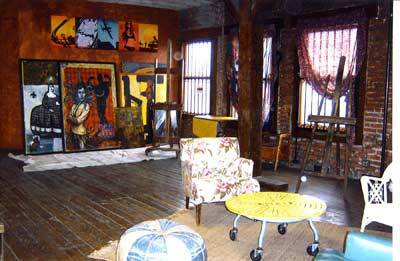 Tell us about your background and how you became a set decorator? I grew up in Denver, Colorado as the oldest of four children, with a large extended family and lots of love. I went to the same parochial school with the same friends for 12 years. I stayed close to home for college, moving only 27 miles to Boulder. I was blessed to have a happy childhood and grew up feeling very secure and confident. I was taught that I could do and be anything I wanted in this world. My parents grew up during the depression and wanted their children to have more than they did. So with that confidence, I decided to move to New York City. I had $500.00 and no job! Because of a college friend, I did have a place to stay, so I was on my way. I got a job at a design firm within two weeks. My first project was drafting the interior cabins for a cruise ship. I was in heaven. I loved NYC from the moment my feet hit the ground, and thought I would live there for the rest of my life. My first job in Los Angeles was working for the Bullocks Department Store in their design studio. Again, I was very lucky to get the job three months after moving to LA. I designed homes for their clients, whether it was a single room or the entire house. My most memorable client was Dewey Logan. 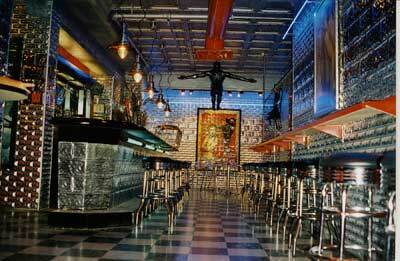 He was the owner of The Original Pantry Café in downtown Los Angeles. We would meet once a week at some fabulous restaurant to discuss his new home. I would show him photos of furniture and fabrics I had selected to get his approval on what to purchase. I was not given a budget and had no time limit. I selected everything in his home, right down to the toothbrush and perfume in the guest bath. After leaving Bullocks, I joined the design firm of Robert Ross and Associates in Beverly Hills. We designed large condominium projects in Los Angeles, San Francisco and Scottsdale, Arizona, as well as lawyers’ offices and dental suites. I never thought about going into the television and motion picture industry until one day while I was watching television. It suddenly occurred to me that there must be a designer who does the sets. I figured it was someone called a “set designer”. I knew that every job in “show business” was union, so I proceeded to call the set designers’ union. Six months later I had my first job at NBC, as an assistant art director on DAYS OF OUR LIVES. After a year in the art directors’ local, I joined the set decorators’ union with my first job on MCMILLAN for Universal Studios. Being in the right place at the right time was the key. The government was pressuring the studios to hire minorities; since there were very few women in the industry, we were considered a minority. 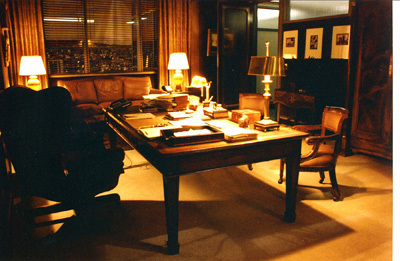 I was hired along with Anne McCulley and Peg Cummings, bringing the total number of women in Set Decoration to nine! I’m happy to say our numbers have greatly improved, and “the rest is history”. What type of education did you receive before going into the field of Set Decoration? I graduated with a Bachelor of Fine Arts from the University of Colorado with a major in Environmental Design. This major was a combination of Interior Design and Architectural classes. In the beginning of my career, I spent many hours in the various studio research libraries. I would get ideas about people and places I was trying to recreate. I usually came across some little gem in a magazine or stack of old photos. As they say, “a picture is worth a thousand words”. Now my research is done mostly on the Internet. After that I would say observe life, people and everything around you. Pay attention to details. Last but not least is traveling, one of the best and most enjoyable ways to learn about people, places and life styles. Name your favorite projects and why. SOMEWHERE IN TIME, was one of my favorites. It was a magical experience on a beautiful island, filmed at the wonderful Grand Hotel. I was able to redecorate this beautiful hotel for the year 1912, as well as many other locations on Mackinac. We also had a sound stage on the island where we were able to build some of our interior sets. There were no cars or trucks allowed on the island, which proved to be quite a challenge. We had to move our furniture to and from the hotel by horse and dray. Everyone on the crew was issued bicycles to get around. I was fortunate to have my lead man, Ed Fitzgerald, two drapery men and my entire crew with me. 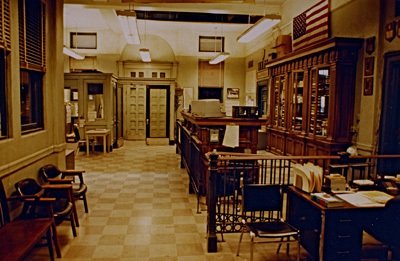 We did most of the 1980 scenes in Chicago, before we moved to Mackinac Island, Michigan. GHOST STORY would also be one of the films I enjoyed. It also included two different time periods, as well as beautiful locations. 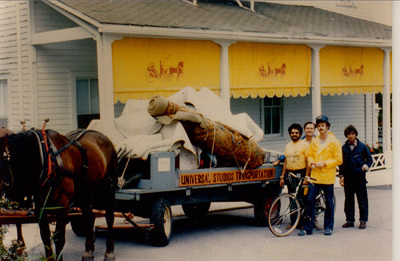 We worked in New York City, Saratoga Springs, N.Y. Woodstock, Vermont, and Deland, Florida for six months. Again, I was able to bring my lead man, Ed and my crew to ensure that everything went smoothly. MAGNUM P.I. was a lot of fun, and the location had a lot to do with it. MAGNUM was filmed on the beautiful island of Oahu, Hawaii. I was not able to bring my crew to this location, but my new lead man, Russell Maki, became a dear friend. Tom Selleck and Charles Johnson and the entire company were a joy to work with and I will never forget their kindness and “Aloha Spirit”. N.Y.P.D. BLUE and all the shows I did for Steven Bochco Productions are among my favorite times in this business. It truly was family. It was a first class company with good people and quality work on all levels. It was there that I started the 15 year working relationship with my lead man, Randy Bostic. I have been very lucky to work with many talented people in this business over the last 34 years. I think that would have to be turning the Grand Hotel’s 400 ft. lobby from 1980 to 1912 in one day for SOMEWHERE IN TIME. We were supposed to have four evenings to transform this location before we began filming. Something went wrong (to this day, I still don’t know what that was). I was told at 6:30 a.m. that they wanted to film the lobby the next morning. We had not even begun the change over! After a brief discussion with the producer, I climbed on my bike, gathered my crew and went as fast as I could to collect the 1912 furniture from our warehouse. I’m amazed we were able to accomplish this change over in such a short amount of time. This transformation included replacing furniture, covering all the red geranium carpeting with oriental rugs, replacing window treatments and several chandeliers. After our crew worked 28 hours straight, Christopher Reeve entered the Grand Hotel through the elevator doors into 1912. The list of SDSA business members that I enjoy working with is a long one. As set decorators in this town, we are so fortunate to have such wonderful resources available to us. Having done location work for a number of years, I realize how lucky we are to be able to work in Los Angeles. One of my favorite sources is Omega, where I shopped the very first set I ever did in this business. I joke that I have seen the sales people grow up as well as their children. Wait, that’s not really a joke! Omega is a wonderful prop house that has something for every taste and style. Jay Krause, the owner, continues to bring in new pieces from his travels around the world. Ken Pritchard and Allan Songer and the entire staff are always kind, patient and helpful. It is a pleasure doing business with them. Lennie Marvin is also a great source for all the items you can’t find any place else. They have wonderful exterior street dressing, department store fixtures and various other retail shops, bar and restaurant furnishings. Keith Marvin and Dan Schultz are the perfect pair to keep the business going that Lenny so lovingly put together many years ago. They also have a wonderful staff. Hollywood Studio Gallery has done so many beautiful frames for me over the years. Ralph is a great asset to any decorator when it comes to selection; he has a good eye and knows how the finished product will look. It is always a pleasure to visit them. Faux Library was a stroke of genius. Marc Meyer has created a beautiful library of books that don’t weigh a ton and won’t break the backs of our crew. This is a well executed and long over due idea. When there is something specific you need for a project, Marc and Mandy will make it happen. They are a great team. Apropos Interiors is, of course, one of my favorite prop houses. That’s because I purchased most of the items in the place. 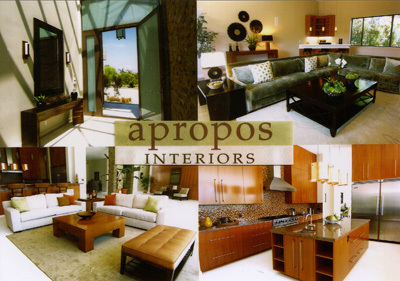 I started Apropos Interiors when Steven Bochco decided to sell his warehouse. Since I had been shopping in prop houses my entire career, I thought it would be fun to own one. It’s a lot harder than I thought, but ultimately I think it will be a worthwhile experience. We try to emulate the above mentioned prop houses as best we can. Our purchasing budget is not as big as the larger and more established houses, but we do try to add cleared artwork, lighting and accessories whenever we can. 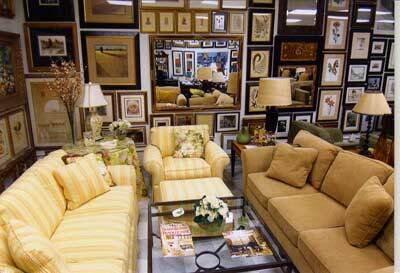 I recently purchased some beautiful pieces of furniture at the Las Vegas World Furniture Mart. I attended the mart with a group of set decorators who were representing the SDSA. Some of us spoke on a panel about what it is like to be a set decorator in Hollywood. I spoke about being a set decorator and a prop house owner. We had a very good response for our first visit and have been asked back for the February show. I’m hoping to do some more shopping when we return. 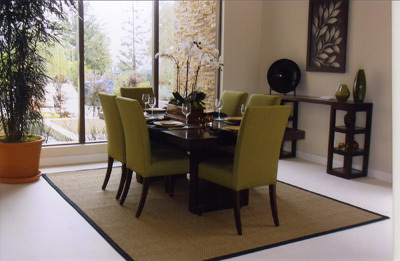 I have also been fortunate to do Home Staging through Apropos Interiors. Before I finish, I must thank my partner and husband John Unsinn for his tireless work and enthusiasm, as well as our wonderful staff, Jen Cole and Joe Navarro. The inside of my car has my iphone and charger, digital camera, sunglasses, water, breath mints, hand sanitizer, studio pass, CD case and my purse. The trunk of my car has my umbrella, tennis shoes, a warm jacket, computer and brief case. My brief case holds my script, hold tags and tape, pens and paper, scale ruler, tape measure, camera charger, Debbie’s Book and the current collection of store catalogs. Sometimes, I have my dry cleaning in there as well. That’s about it. 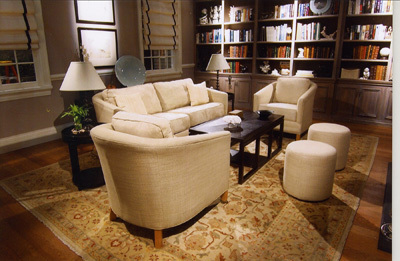 What advice would you give to those wanting to get into set decorating? Wear comfortable shoes. Buy the safest and most comfortable car you can afford, because you’ll be in it all the time. Buy a good camera because everyone wants to see pictures these days. Save your money because you never know how long it will be between jobs. I’m sure the business will always be here, but I’m sorry to say it is not the business I grew up in. That said I hope those starting out will find it as exciting as I did. It is and always will be more interesting than most jobs I can think of. To quote Bryan Venegas from the last spotlight article, “Surround yourself with responsible, talented, hard working people who you respect”. I’d like to add to that thought and say work with people you like and trust, because this business becomes your life. I hope you are all blessed with many years of challenging work, people you enjoy and projects you are proud of. Most of all, I wish you happiness and success in whatever you choose to do. 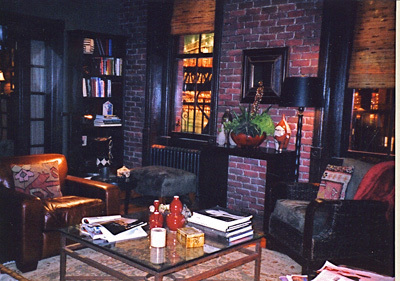 What was your biggest set decorating disaster? Thankfully I have never had a major disaster. The closest thing that comes to mind is when I had to recreate a city dump on “N.Y.P.D. Blue”. I needed clean trash, so the actors would be protected. I brought out three refrigerators to help build up the piles, but because of the environmental hazard they were not allowed off the truck. I also chose trash that would have been from various places, i.e. households with families and pets, restaurants and offices, etc. After carefully placing the trash accordingly, a giant bulldozer rolled over all of it, smashing it beyond recognition. Oops! A lot of time was wasted on that set. Get involved. Try to share your ideas and opinions, so that we can all benefit from what we each know and experience. There is a terrific group of people in this organization and we are lucky to be a part of it. “There is strength and power in numbers”. What is your concept of a perfect bedroom? My perfect bedroom would be in a tree house, on the side of a mountain, overlooking the ocean. It would have the most comfortable mattress I could find and the best sheets money could buy.